Remove six intermediate bearing lock screws from camshafts. Using puller J 24420, remove accessory drive pulley (14) from camshaft (10). Only the left cam bearing has a gasket. Remove six intermediate bearing lock screws (18) from camshafts (10 and 11). 10. 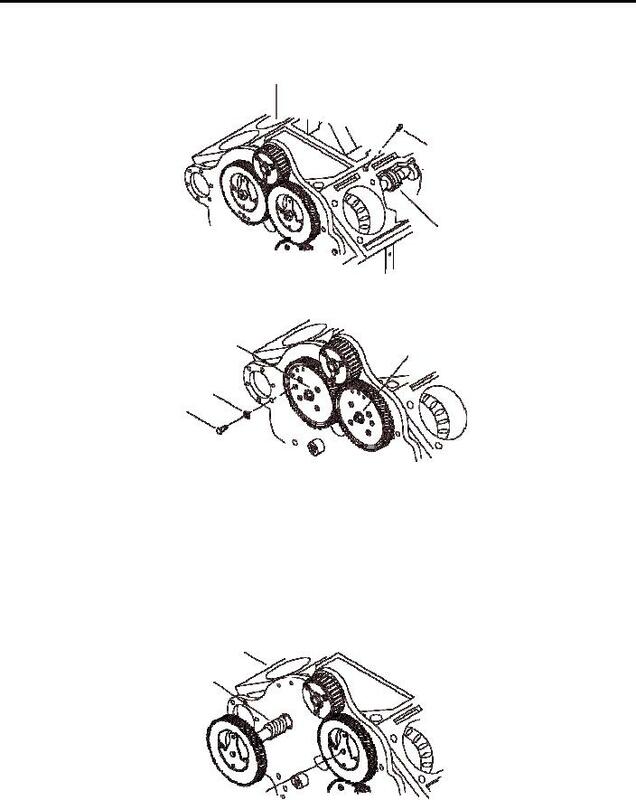 Remove rag between gears (4 and 8). 12. Remove camshafts (10 and 11) from engine block (21).